Attention Musicians: You've got a lot of competition. Have you thought about how many people release songs to the Music Marketplace every year? How many people offer the same kind of music as you? Have you heard, there are an estimated two million people who describe themselves as Musicians on Myspace? The Music Marketplace can be seen as a never ending American Idol Audition. People of every gender, color, and culture hope to get attention of the judges. In the Music Biz there have always been contestants hoping for a chance to catch the eyes, ears, and hearts of judges, who are 'the Buyers'. Beware, because your music can be smothered by the noise of millions of contestants trying to be heard. Your music can become distant whisper in a stadium filled with your competition singing at the top of their lungs. We've shared before that 95% of singles released fail to sell more than a few hundred copies. With so many artist fighting so hard to be heard, it's a good tip, that every Musician consider who they going to be heard by. 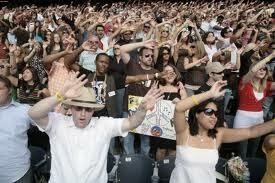 Audience, can be seen as one or more people, willing to give you attention. It's a good thing to be able see your 'target audience'. Some fun ways to target your audience is to ask yourself , "who do I see listening to my music"? What do they do? How do they live? Where do they live? These questions can help you develop a picture of what your audience looks like. Benefits, can be understood as, the feelings you hope your fans will have, when they hear your music. You can find benefits by asking yourself, "how do I feel, when I hear my favorite songs by other artists?" Can you relate to and feel the lyrics? Maybe the song gives you sensation in your body. How your songs will connect, with you, is the benefit. Conversions, are the decisions that your fans make on your behalf. Conversions can be measured by what people do for you. For example, a person clicks on your website and listens to your Music. That is a conversion. A conversion can be small like one person listening to your music, or big, like a thousand people coming to your show to hear your music. Success in today's music business requires Internet Music Promotion. Over the last few weeks, Kasondra K, "Ms. I.T. ", has presented examples of how Musicians like Katy Perry and Soulja Boy Tell "em are using Internet Promotion to win the ears, eyes, hearts, minds and dollars of listeners. How can you ensure that your Internet Music Promotions will be successful? Love or hate Justin Bieber, no one can deny that it really is his world right now. Justin Bieber has a story that melts the hearts of his Fan's. Justin's story goes like this; White R&B singer has a dream of being a music superstar. He is discovered by accident on YOUTUBE, by a former Record Label Executive, signed to R&B superstar Usher Raymond's Record Label, and would go on to top the Billboard Charts as well as his teenage Fan's hearts. Although Marshal Mathers goes by many names, his story stays thesame. Matters, aka "Slim Shady" and "Eminem", was a dissatisfied dishwasher and cook from Detroit, Michigan. He was broke, with a troubled past and a young daughter to raise.In spite of his odds, Mathers had dreams of being a rich and famous lyricist. At first, Mathers battled perceptions of being another vanilla flavor of the month. Overtime as his lyrics started sharing who he was a real-person struggling with issues millions of people could relate to. His shattered relationship with his mother, his jaded view of relationships, and his struggle to stay sane in a world that felt it only appreciated insanity. 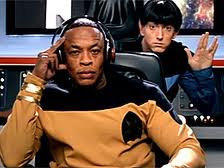 One day, his demo tape is discovered by Hip-Hip Producer Dr. Dre. White Rapper goes on to top the charts, win a Grammy for his Debut CD and sell millions of albums world-wide.On Eminem's latest release Relapse, Mathers tells more gritty stories. He addresses why he went into recovery (from a unknown addiction). He declares that he's not afraid to take a stand, and he gives listeners his view on hot topics like domestic violence. Once again, Mr. Mathers and his stories have journeyed to the top of the Billboard Sales Charts. The Moral of these two stories is; telling your story allows people to understand who you are as a person. Both stories above, have a common main character - the Underdog. Everyone loves an Underdog. We are naturally fascinated by those who want to overcome the odds. The more the odds are stacked, the bigger the interest in the story. The Daniel vs. Goliath style tale creates suspense and compels those watching to cheer for the Underdog as his or her story unfolds. So, what is your story? How do you see your life? How do you feel about where you are as a Musician? If you are feeling down and don't see your life as where you want it to be, that may be good news. You can use your troubles to motivate music lovers to become your Fan's. You are welcome to tell us your story. Leave a comment below and tell us about the odds that you feel are stacked against you. You may find as you type that your story starts to take shape. Hosting the recent Teen Choice Awards, Katy Perry is becoming the latest online music promotion success. Many of us know Katy Perry from her controversial hit single “Kissed a Girl”. It was the first single from her album "One of the Boys". "Kissed a Girl spent seven weeks on the Billboard Hot 100 during the summer of 2008 and has sold 3.1 million downloads, according to Nielsen SoundScan. Her first internet single was “Ur So Gay”, also causing a controversial buzz in the media. It’s hard to believe all this comes from a girl steeped in Gospel. That’s right! Formerly Katy Hudson was raised by Christian Pastors and released a self titled Gospel album in 2001. Katy Perry has taken what online fans would typically do and used it in her online music promotion. She’s stolen these ideas and turned them into a very successful promotion blitz. Have you ever seen a friend countdown on Facebook to something they were excited about? Katy Perry's FB countdown was to the revealing of the cover art for her upcoming album, Teenage Dream, to be released on August 24th. This gets fans excited and curious about whats to come. Most artists hate it when their creative works get leaked on the internet. Katy Perry leaked preview pics online before the release of her “Teenage Dream” video. Proving she’s super social, she recently answered questions in the YouTube community. Over 20,000 questions were submitted from fans. That’s one way of controlling the dialogue. All the best and most popular artists get parodied. Well Katy Perry released her own parody of her already fantastically fun and color video “California Gurls”. The parody now has over 7 million views, the original has over 34 million views on YouTube. To top it off, fans from all over are doing their own viral parodies. There’s California Boys, of course. California Gays is on its way to two million views, and California dorks has 400,000. Katy Perry also tweets regularly to make sure she stays connected to her fanbase. Being controversial sometimes helps your popularity in the music business. Being social always helps. Think about what your fan base does regularly, even if it’s something you don’t like. Then figure out a way to do it first, using it to your advantage in promoting your music. What is the TOP Music Promotion Trick that can help you, as a Musician, to sell more music? 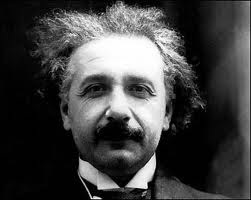 What Einstein is saying is; march to the beat of YOUR OWN drummer. We see so many Musicians trying to succeed in the Music Biz who are; walking, talking, singing and sounding like the next one. Boring. Don't Be Afraid To Be Yourself. The beauty of Humanity is that no two people are the same. So why are so many so-called Musicians, singers, producers and song-writer's; acting, walking, talking, sounding and writing songs that sound like one-another? The answer; Fear. Many Musicians are fearful of being themselves. The trouble with being like someone else is that no one likes a Copy-Cat. The PIMP's of Today's Music Biz know that a USP is the number one trick to selling more of your music. We are Music Biz Insiders who have seen how the top 10% of Record Labels sell millions of units, while, small Indie labels play copy-cat hoping to sell a few thousand copies. Your USP is the trick to selling more of your music. No one can doubt the fact Christina Aguilera is a talented Vocalists. So why is her latest CD, Bionic considered a flop? Because Ms. Aguilera is known for selling millions of Music Units for her Parent Label; RCA Records. But Bionic has sold only 200,000 units as of July 15, 2010. In our PIMPS opinion Christina Aguilera is not selling because she seems to be trying to compete with Lady GaGa. Burlesque is an Art Form, that is part strip-tease and part imitation. Lady GaGa, has mastered the lost art of burlesque. Christina Aguilera is playing copy-cat to Lady GaGa. The results are, Lady GaGa is in the lead. In fact, The Fame was the biggest seller for the first half of 2010, according to Billboard. In a blond head-to-head match, Lady GaGa is winning because of the #1 Promotion Trick - the USP. Unique Selling Proposition (USP): USP is the different benefit that you offer fans. Ask yourself, what set's you apart from every other Musician? What is it about your song's that are different from all the others? Why is it that people should spend time and money to purchase what you offer - not your competition? Lady GaGa and her marketing team have learned what her USP is (Burlesque) and have sold more records, than any other Recording Artist, during the first half of 2010. You can do the same, but first you have to find and communicate your USP.